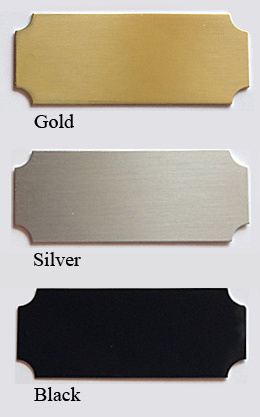 Each engraved plate measures 2-1/2" x 1" and has an adhesive back for easy application. For an explanation on each UPGRADE, click on the image on the left of each drop down menu. Forgetting to Re-Fill your Humidifier can Ruin your Cigars! * Standard humidifiers that come with your humidor normally have to be refilled every 2-3 weeks. 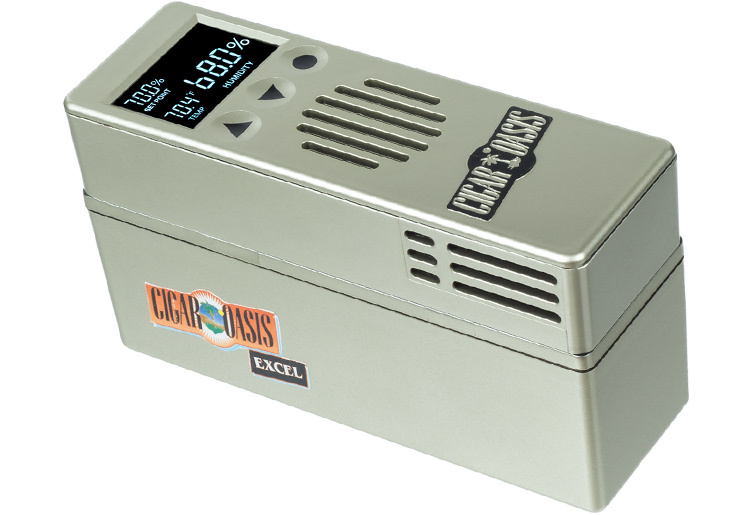 * Cigar Oasis humidifiers are normally refilled ONCE a year. 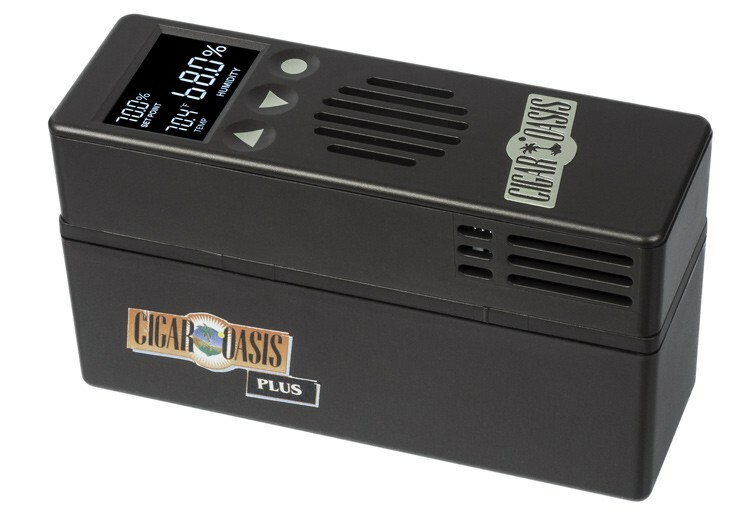 We offer 4 Optional Cigar Oasis Electronic Humidification Systems that maintain humidity levels in your humidor automatically "hands free". The appropriate Cigar Oasis unit(s) that are best suited for this humidor are displayed in the "Humidifier Upgrade" drop down menu. 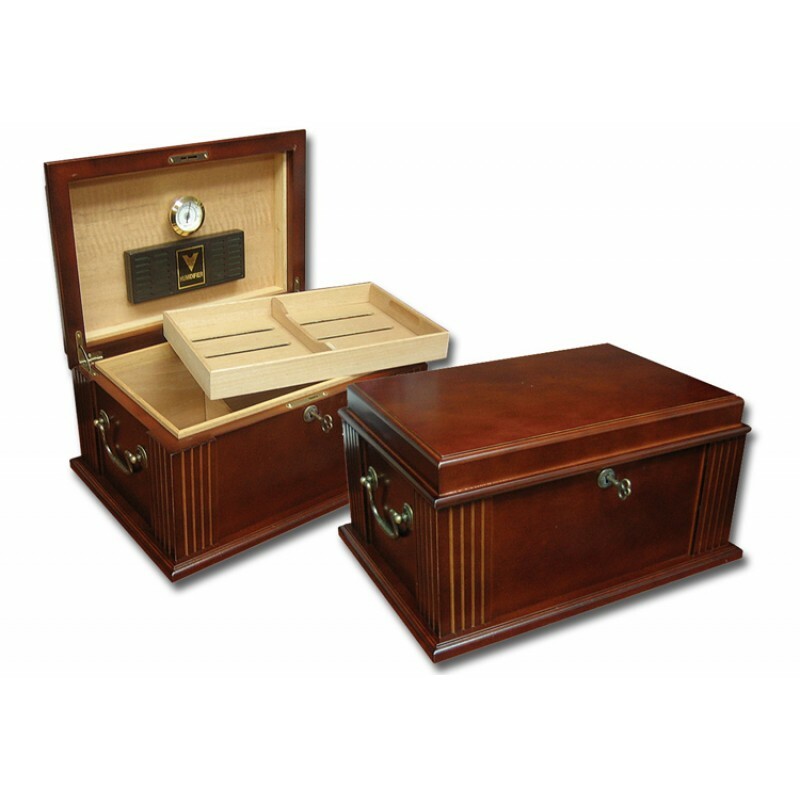 Maintains humidity in humidors with capacities up to 75 cigars. Maintains humidity in humidors with capacities up to 50-300 cigars. 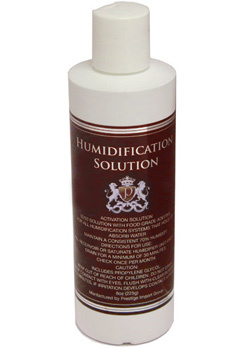 Maintains humidity in humidors with capacities up to 300-999 cigars. 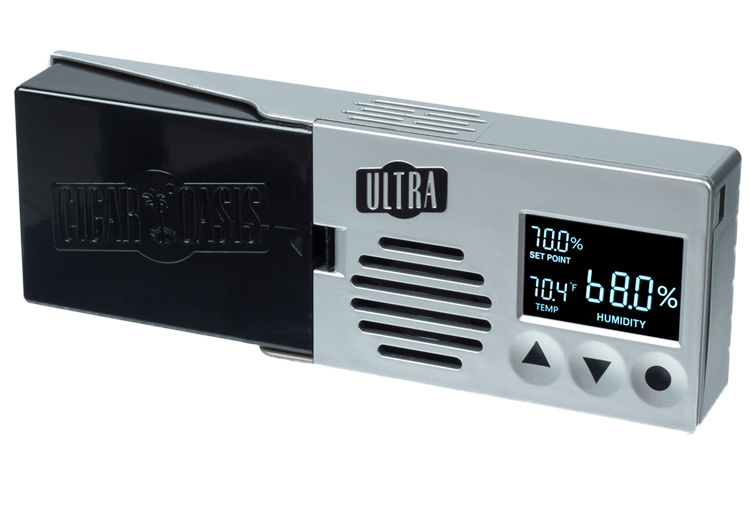 Maintains humidity in humidors with capacities up to 1,000-5,000 cigars. Why Upgrade to a Digital Hygrometer? Most humidors come with an analog hygrometer. Upgrading to a digital unit provides the following benefits. * Digital Hygrometers can read temperature in Celsius or Farenheit. * Digital Hygrometers are generally more accurate & precise than their analog counterparts. * Digital Hygrometers have built-in a calibration feature. * Digital Hygrometers look great & feature easy to read large numeric displays. Protect Your Cigars from Mold & Bacteria Growth! An Important additive for your Humidifier & Cigars. 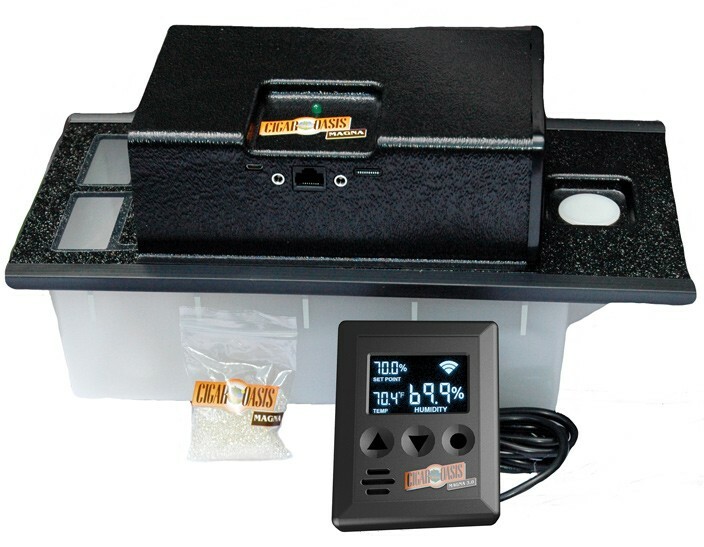 Maintain the Life of your Humidifier and the Taste of your cigars! Maintaining the proper humidity range with little effort is a snap! This 2 oz. 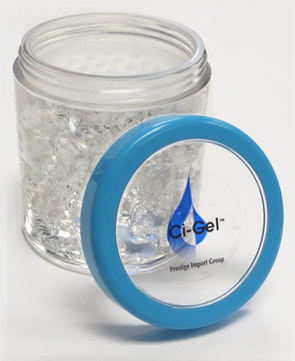 jar is packed with unique pre-charged water absorbing gel crystals. These jars can be used in addition to your humidor's existing humidifiers or by themselves. To use, simply twist off the cap & place the jar in your humidor. Proper humidity & moisture levels are maintained for 1-2 months. When the crystals shrink, simply remove the vented cap & add about a 1/2 oz. of solution or water into the jar. The gel crystals will swell back to their full size.The perfect solution for humidity issues! Dimensions: 2-1/4" H x 2" Dia. 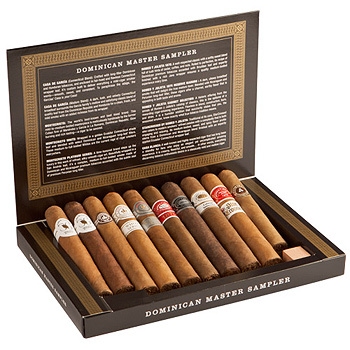 This sampler is the best way to try a selection of some of the best premium cigars without buying an entire box. Makes a great gift! This fine humidor combines old world craftsmanship coupled with an antique distressed walnut finish with antiqued hardware. Opening the Classic reveals a removable cedar tray with an adjustable divider and a lower section with an adjustable divider for additional storage. Offers solid cedar construction, a rectangular humidifier, brass hygrometer and solid brass locking hinges. Perfectly recreates the ideal level of humidity to preserve the taste and aroma of your favorite cigars. 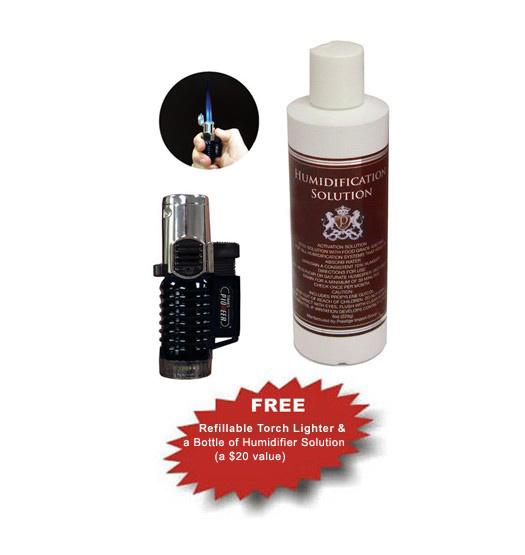 For a limited pick up The Classic humidor and get a Triple Flame Torch Lighter (color may vary) & an 8 oz. Bottle of Humidifier Solution FREE! 2. We will review your offer and either accept it or reject it by email in 24-48 hours. Skip above fields & Log in if you already have an account! If your offer is accepted, additional promotional pricing or discounts cannot be applied. I bought it has a storage humidor for new cigars to age some before going into my main humidor. For the price, you can't beat the look or the ways it's built. I took less than two days to get the humidity stable at 70%. Holds humidity very well, looks good and has plenty of capacity. Great product, loved the design and the price. Will most defiantly buy again from you. 130 Cigar Humidor w/ a Lacquer Bubinga Wood Finish, Silver Pull & Lock & Key. Please feel free to contact us if you have any questions. We will be glad to help! Spend $75 on Cigar Accessories and Your Order Ships FREE! This offer applies to Continental US ground shipments only. Excludes PO Boxes/APO, oversized items, cigar cabinets, end tables & cigars. Our guarantee is simple and straight forward. We offer our customers a 30 day unconditional money back guarantee. We ship all our orders within two business days or less. Get more information about our shipping policies. Feel free to browse through our customer service section. We are here to answer all your questions and concerns. Our Article Archive & Cigar Blog features useful information, news, entertainment and commentary on humidors and cigars. 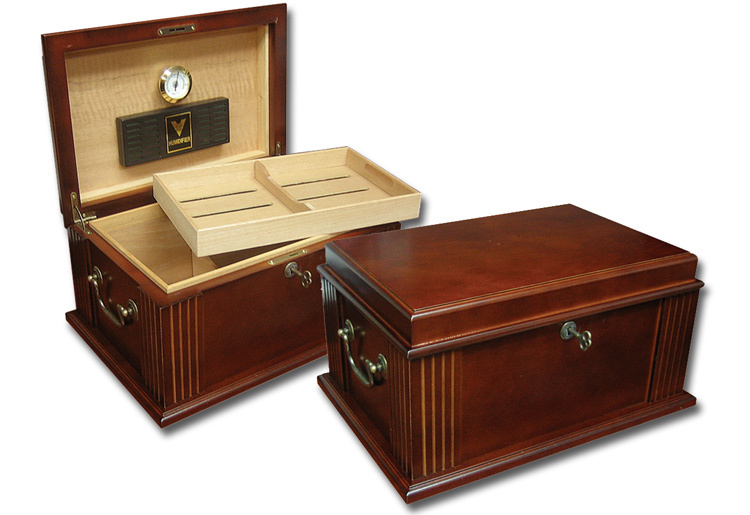 See our line of beautifully crafted & exclusive cigar humidors. We are certain you will not find accessories like these for less!